List Price: $ New Price! 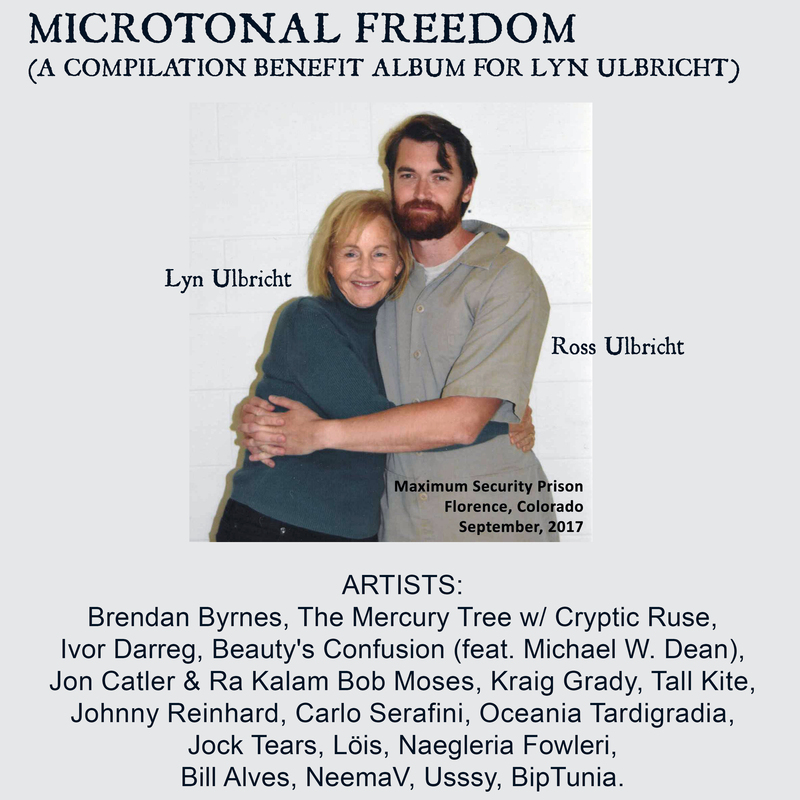 This is a benefit album for Lyn Ulbricht (mom of Silk Road founder Ross Ulbricht). Containing 17 tracks by the world's best microtonal musicians in a variety of genres. Microtonal means music that does not use standard 12-tone western scales. When done right, like on this album, it sounds simultaneously bizarre but familiar. People with open minds will love it. In fact, this album can even be a good test of strangers. Put it on, if they don't like it, they probably aren't cool enough for you. ARTISTS: Jock Tears, Usssy, The Mercury Tree & Cryptic Ruse, Brendan Byrnes, Beauty's Confusion, Ivor Darreg, Bill Alves, Jon Catler & Ra Kalam Bob Moses, Kraig Grady, Johnny Reinhard, Carlo Serafini, Tall Kite, Löis, BipTunia, NeemaV, Naegleria Fowleri Oceania Tardigradia GENRES: Blues, metal, prog, funk, trip-hop, hip-hop, funk, classical, ambient, math, punk, spoken, folk, solo acoustic guitar. The album works well as a piece. Common denominator: all are at the top of their microtonal game. 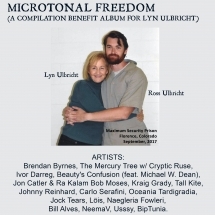 BENEFIT: All artist profits for this album go directly to Lyn Ulbricht, paid monthly. The bands have all forgone being paid to help Lyn. She has moved across the country to be able to visit him often. She suffered a heart attack from the stress. She still tours to speak to crowds, about Ross, and the insanity of the War on Drugs in general. Additionally, the album will help give publicity to the fact that the War on Drugs affects the FAMILY of those arrested too. Ross is in federal prison for 2 life terms with no chance of parole for running the Silk Road website. The State suppressed evidence that may have cleared Ross: the agents chasing him stole millions in Bitcoin. They're in for this. Lyn is Ross' advocate on the outside, and has upended her life to be there for him. Buy this album, hear some groovy tunes, and also help reward the world's best mother for her devotion to doing what's right. Buy a copy, & share the info everywhere you can. TELL 2 FRIENDS! For fans of good music of all types, and it's for a good cause.